Syracuse, N.Y. : J.G.K. Truair & Co., stereotypes and printers, 1860. Description : [i]- v, -507 p. ; ill., port. front. ; 20 cm. 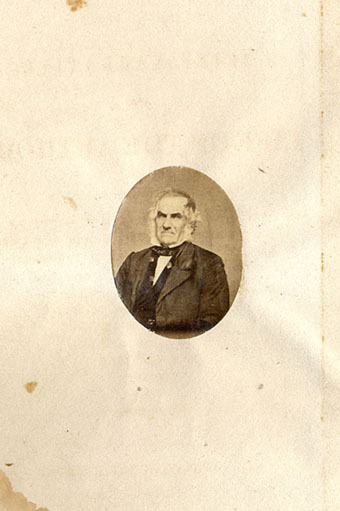 Photograph : frontispiece, small mounted cameo albumen of the author. Subject : materia medica, autobiography. The purge which he fixed upon was composed of 10 grs. of Calomel and 15 of Jalap. To this purge, which the inventor sometimes called the Sampson of medicine, was added copious blood letting — a powerful co-operator ! With these remedies, the Pennsylvania Hippocrates set to work, and he declared that there was no necessity for the people fleeing to the country, for the Yellow Fever was no longer a dangerous disease, but was now perfectly under the power of medicine, and that there was no more danger to be apprehended from it than from the measles, influenza, or common cold — Yet Doct. 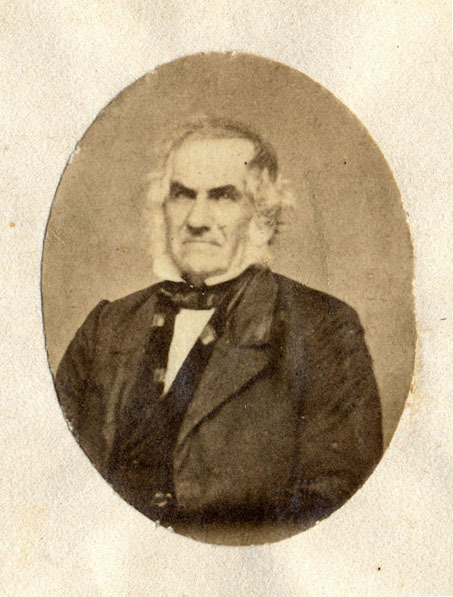 Currie, compelled by the calls of humanity, earnestly besought the poor deluded Philadelphians to open their eyes, to beware of the new remedies; "for," said he, " the mode of treatment advised by Dr. Rush, cannot, in the Yellow Fever, fail of causing death." The Constitution of this Republic should make special provision for medical freedom. To restrict the art of healing to one class will constitute the Bastille of medical science. All such laws are un-American and despotic. . . Unless we put medical freedom into the constitution the time will come when medicine will organize into an undercover dictatorship and force people who wish doctors and treatment of their own choice to submit to only what the dictating outfit offers. 2 — Benjamin Rush [attributed to]. By learned doctors, it is skill. They tell the patient not to eat. They then the lancet use again. With physic clear what is within. Our healing power can't death prevent. That death's a cure that never fails. PHYSIC – BLISTERS – LANCE – Adieu ! Excepting when we wish to die. To ease his pain they take the knife. So much his life goes in the flood ! Men would be slain throughout the land. Or poison'd like rats, to stop our breath ! 1 Thomson, Samuel ; A narrative of the life and medical discoveries of Samuel Thomson, containing an account of his system of practice, and the manner of curing disease with vegetable medicine, upon a plan entirely new; to which is added an introduction to his New guide to health; or, Botanic family physician, containing the principles upon which the system is founded, with remarks on fevers, steaming, poison, &c ; Boston, House, 1822. 2 Rush, Benjamin & Corner, George Washington ; The autobiography of Benjamin Rush; his "Travels through Life" together with his Commonplace Book for 1789-1813, ed. with introd. and notes by George W. Corner. Now first printed in full from the original manuscripts in possession of The American Philosophical Society and The Library Company of Philadelphia. ; Philadelphia, American Philosophical Society, 1948.